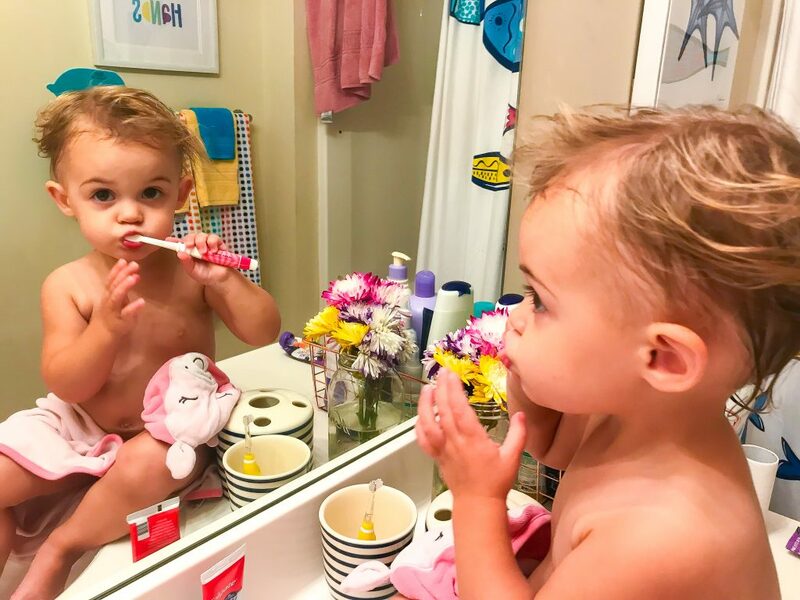 I realized I hadn’t yet shared Cora’s bedtime routine with ya’ll and I thought it would be a fun post to do. It’s actually something we set into motion very early on. I work 50 hours a week and though maternity leave was amazing with Cora while she was a newborn, being able to have that much time together unfortunately wasn’t how it would always be. 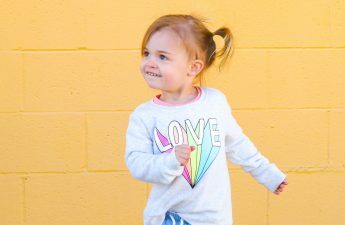 Which was a huge part in my wanting to get her into a good routine at night, not to mention that it helps with sleeping through the night too. I get off work at 6pm, pick Cora up, and get home around 6:30 usually. At that point it’s time to get her fed and then spend as much time together as a family playing before the bedtime routine starts around 7:30pm. As you can see, that doesn’t give me much time with her during a work-week but a girls gotta do what a girls gotta do, and this girls gotta work to help support our family. But at least having a routine will allow us to not miss any time together. So I was super excited when two of my favorite brands, JOHNSON’S® and Walgreens wanted me share this routine with ya’ll. First, let’s start off with Walgreens. I LOVE WALGREENS. For one, they are open 24-hours so it doesn’t matter what time I realize I need something, I’m covered. So if I have to run to Walgreens before work, after work, or in the middle of the night because I’ve realized I don’t have my JOHNSON’S® COTTONTOUCH™ Newborn Wash & Shampoo, it doesn’t matter. I trust shopping at Walgreens, which is also the reason I use JOHNSON’S® products, I trust the brand. They have been around for 100 years, changing and evolving to be relevant even now for us millennial moms. Every product is newly formulated and they’ve recently added some new products too which I’ll share more later. 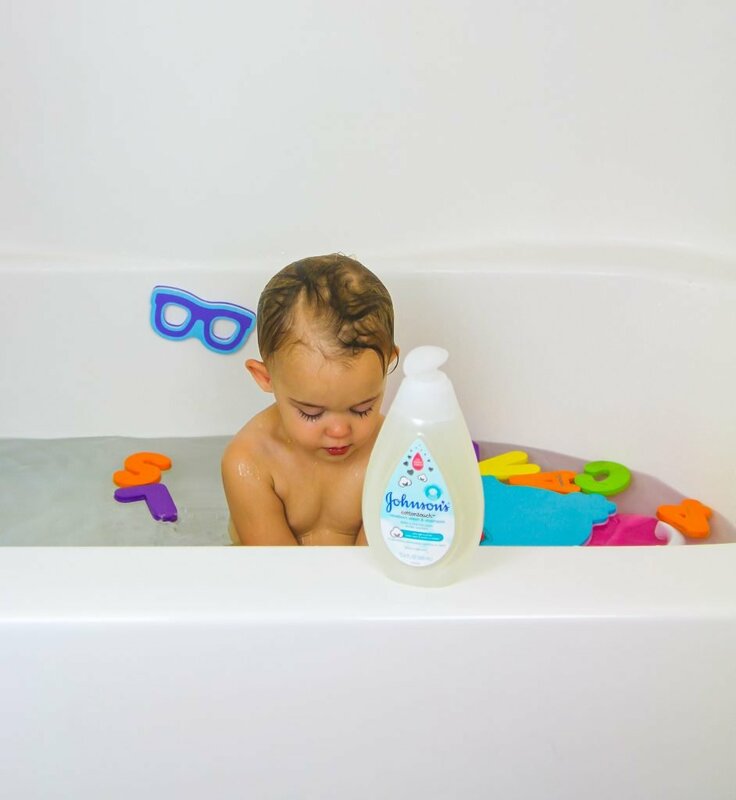 JOHNSON’S® products are 100% gentle, and free of parabens and phthlatates which is exactly what I’m looking for as a mom. Plus they are the #1 choice for Hospitals, that’s saying something I think. I only want the best for Cora, she’s my everything & that’s why I choose JOHNSON’S®. 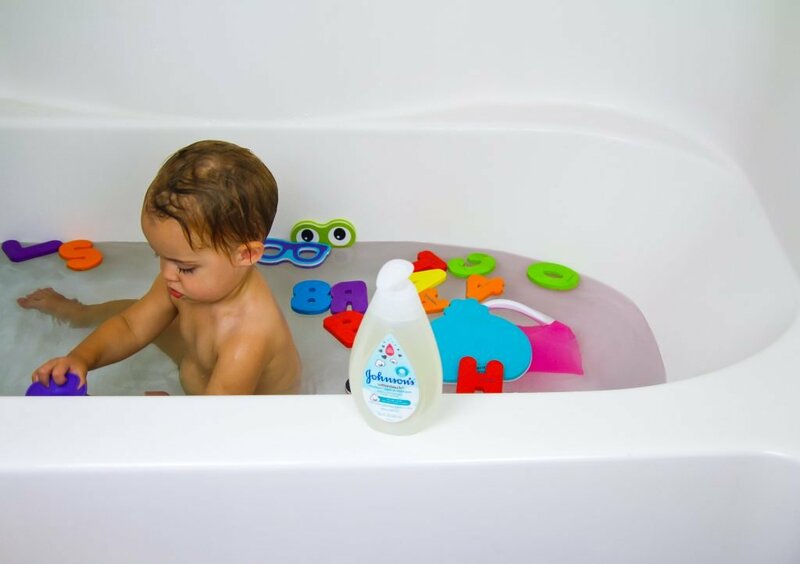 Cora LOVED baths as a newborn. 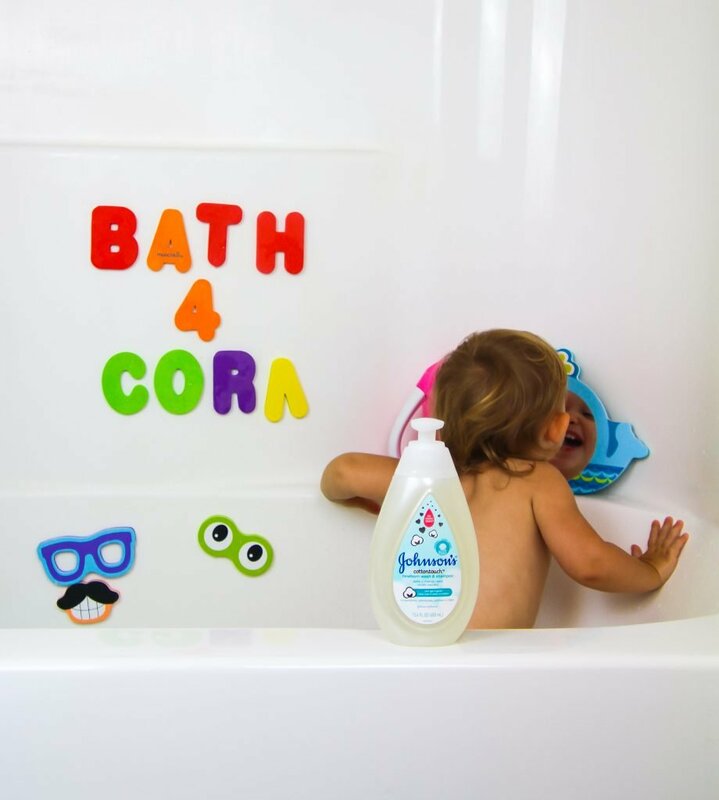 So starting as early as 3-4months old, Cora started having a bath every night. Like I mentioned above there were a few different reasons for this. One was to keep her clean-duh LOL, just kidding, but seriously she does need to be bathed and kept clean 😀 Two, I wanted to establish a good bedtime routine to help with sleep training. 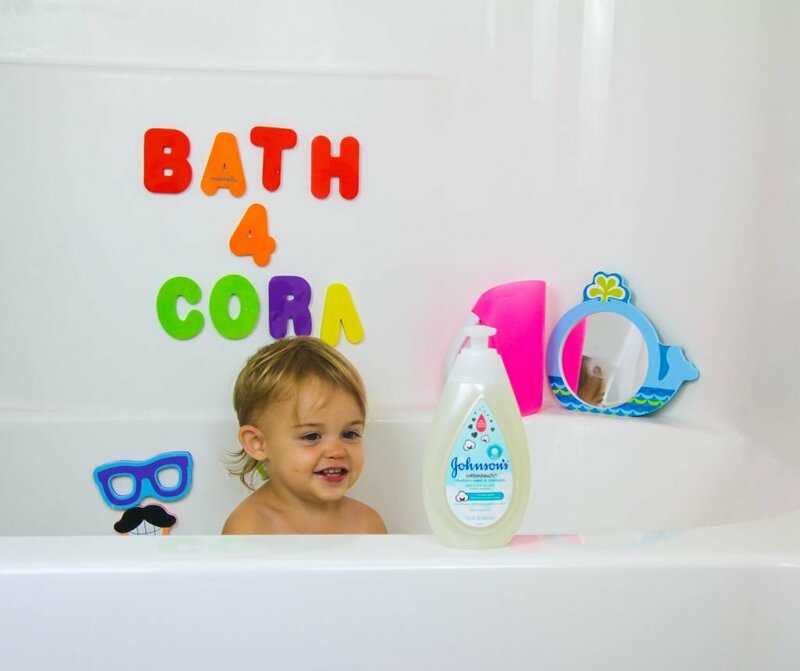 Last but definitely not least, I wanted to have this special bath & bed routine that was just for Cora & Mom. I’m away from her 10 hours a day, I need this special bonding time with her and she needs it with me. We do this directly after her bath is over and I’m still in the learning stages on how to get your babies teeth actually brushed well haha. We have her first dentist appointment next month so I hope to learn some tips then. Until that though I let her “brush” them and then I quickly go in behind her and try to brush as much as she will let me, which is usually like 10-15 seconds. 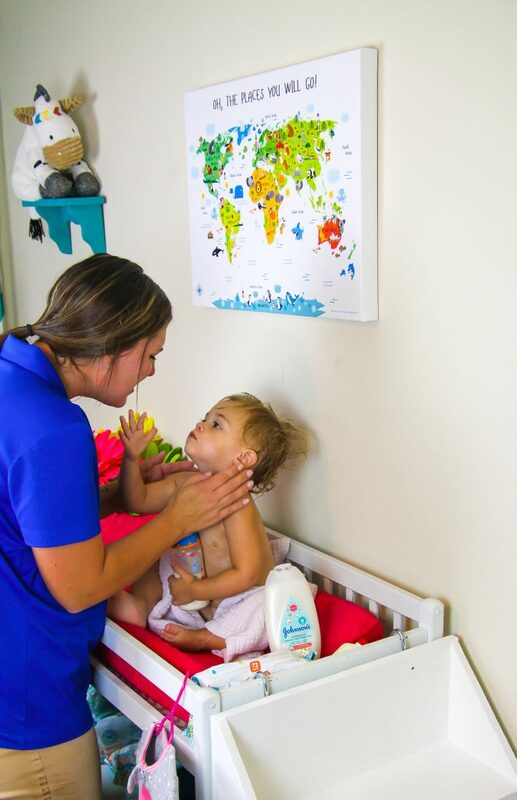 This is the time on her changing table where I lather Cora up with the JOHNSON’S® COTTONTOUCH™ Newborn Lotion. Again, so soft and really important too since Cora’s getting a bath every night it could easily dry her skin out but not with this. 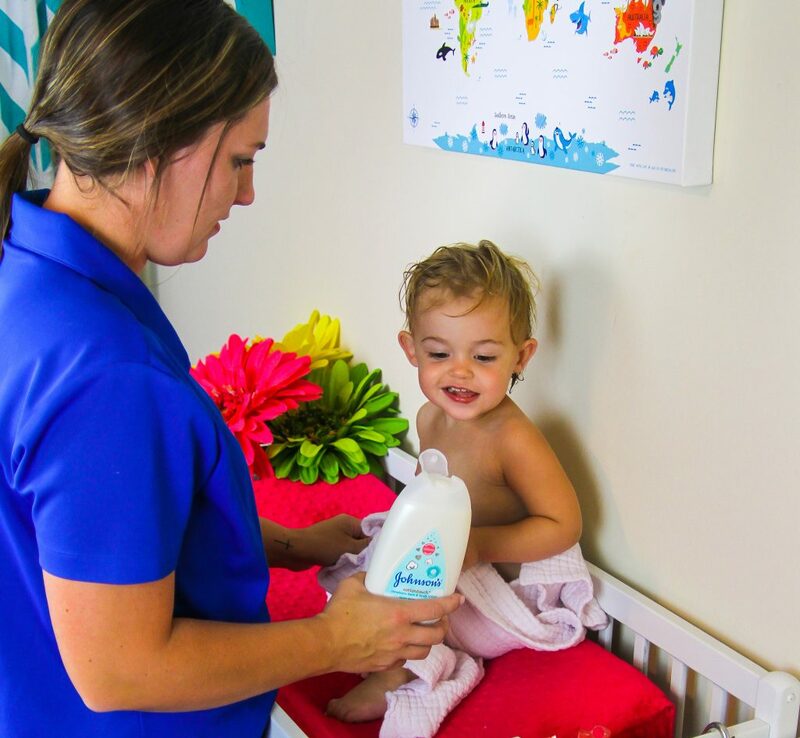 JOHNSON’S® COTTONTOUCH™ is specifically designed for superior care for newborn skin and yes Cora’s not a newborn anymore but it doesn’t matter, I still love it! Oh, and Cora’s new favorite thing to do is rub the lotion on me while I’m applying it to her. She’s gotta have me squirt some on her hand 😉 it’s so cute! During this time, I also get her diaper & pajamas on. Sometimes Cora will drink a little of her sippy milk while I’m doing all this and sometimes she just babbles and talks to me instead. It really just depends on how the days gone. But within 5-10 minutes we’re all done & on to the final step. 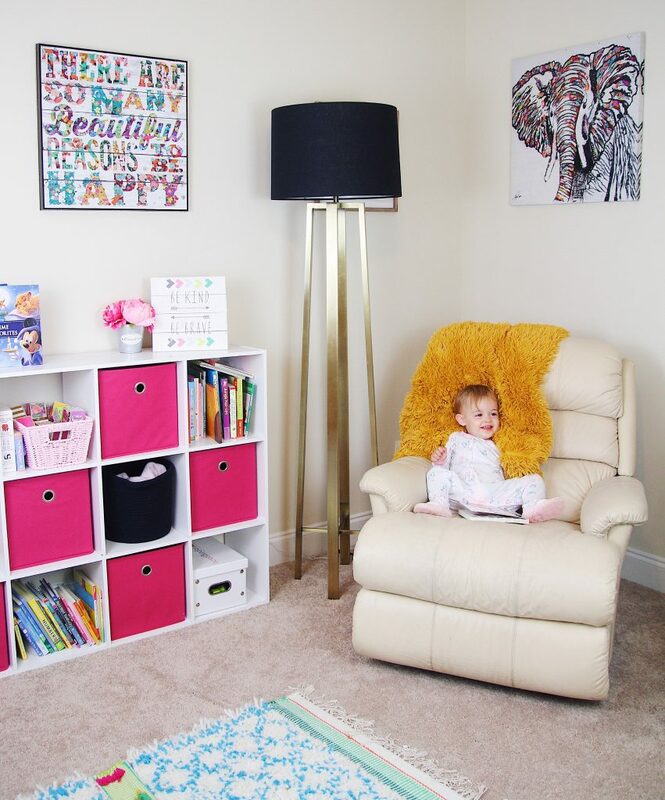 Cora get’s to pick out 2 books and we sit in the rocker together while I read them to her. After that, it’s lights out and I rock her while she drinks her milk. Now the next step is totally up to you whether you lay them down drowsy but awake in their bed or completely asleep. I’ve done both and rocking her completely asleep ended up working for us best but I’d advise checking out sleep training routines for more insight on that. Cora has started sleeping through the night since she was about 10 months old. Now that she’s over a year, it doesn’t matter which way she goes down, she sleeps through the night. And honestly because I work so much, I enjoy the rocking her completely asleep. It allows us more time together, just us 2. So that’s it really, there’s not much to it but it works great for us.Our nighttime routine is our special mommy & babe time. It’s important to me to have brands that will care for us just like we care for one another.And I’m so glad JOHNSON’S® & Walgreens gave me the idea to share this with ya’ll. 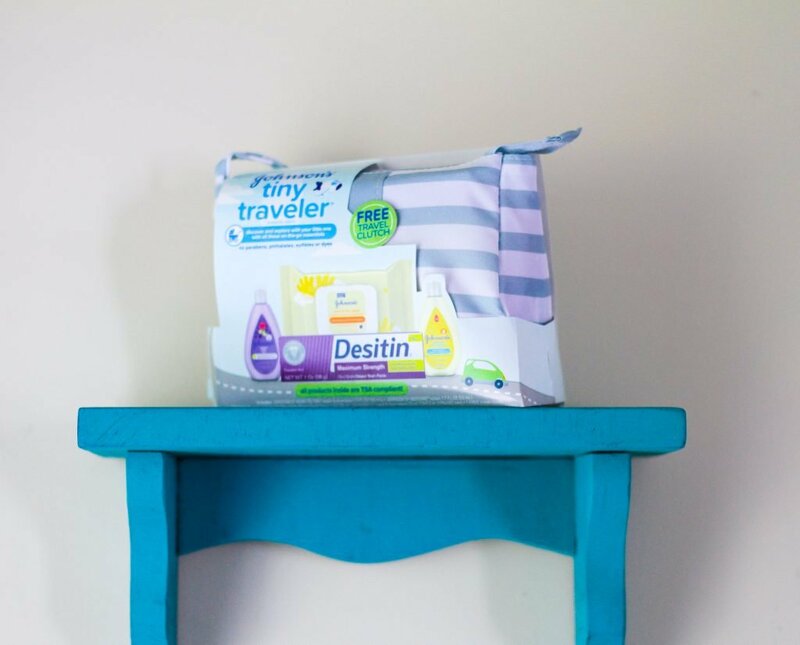 Walgreens currently has an amazing offer with JOHNSON’S® products happening right now too. Great post n great product. Cora is such a sweet baby n you’re a good mom! Good routine! Super share indeed. I hazve been searching forr this tips. web webb ini sebenarnya lluar biasa.